Location, location, location! 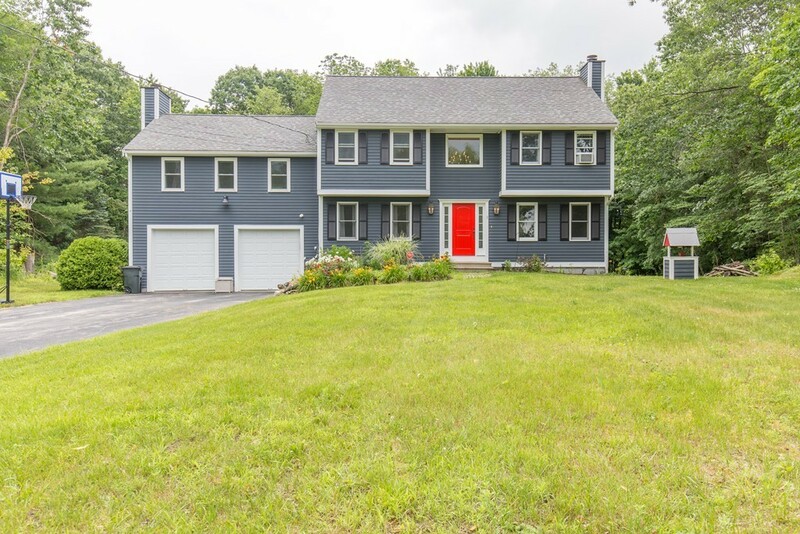 4 Bed 2.5 bath 2 car garage home in a beautiful country neighborhood setting so close to rte 121onHampstead/Sandown line. Perfect for entertaining! Open concepttiled floor kitchen w/ stainlessappliances opens to large exterior deck, sittingareaw/wood stove,diningroomw/hardwood. Soaring cathedralceiling 23x23family with floortoceilingfireplaceflankedbycustombuilt inshelving. Formallivingroomw/2ndwoodfireplace. 2 Story openfoyerleadsto front to back Master Bedroom Suite, walkincloset & private 3/4 bath, updatedmainfull bath and 2 bedrooms. Finished3rdfloorwalkup large4thbedroom,officeorrecreation room. Oversizeddeckoverlooks privatelevelbackyard nestled in the trees on a 1.19acre lot.Newerroof,exteriorpaint,updatedelectrical, brand new furnace, some new windows. 1st floor laundry in half bath. Generator hookup, shed & electric dog fence.